If you are fortunate enough to have a large mature tree on your property, don’t leave its care to non-professionals. Older specimen trees require a higher level of care and expertise. Like humans, as a tree grows older their immune system weakens and they become less tolerant to disturbances in their environment. For this reason, mature trees require specialized care including specific pruning methods and custom fertilization treatments. 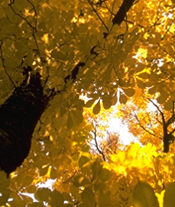 Wood Acres Certified Arborists are highly trained in the latest mature tree care methods. Using their extensive knowledge, they can formulate a preservation program that will effectively build a zone of protection around your mature tree. In addition, lightning protection systems and cabling & bracing services can also be important components to a mature tree preservation program. For more information on how to protect your prized mature tree, contact Wood Acres.